From best-selling author Francis Chan - "Crazy Love" for kids! Halfway Herbert never finishes anything. He completes half his homework, he cleans half his room, and he eats half his dinner. Even his "dog" is half poodle and half bulldog! It never mattered before--mostly. But when he tells a half-truth, deciding he isn't exactly "lying," everything falls apart. 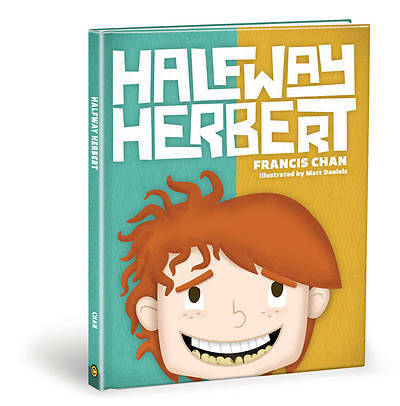 Suddenly Halfway Herbert learns a lesson in living whole-heartedly for God that he'll never forget. He discovers that a Christ-like life takes more than a partial effort. But can Halfway Herbert finally give something his all? "Halfway Herbert" helps children discover the importance of honesty and offering their best for God in all they do. It's a delightful tale about how even the smallest child can live fully for God.